Tired of those plain white napkins under your drink? Are you looking to offer your customers a little pizazz and a way to brand their business? 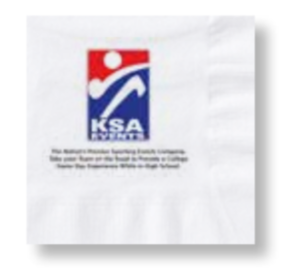 A smart idea, though not entirely new, is advertising on napkins! Mike Blaney, author of the blog “Good Ideas Are a Dime a Dozen, But Implementation is Priceless” explains this concept well in his 2007 article Napkin Advertising. 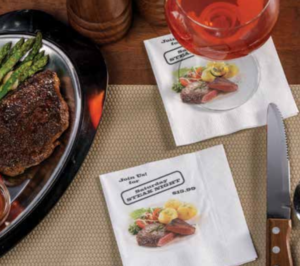 In short, everyone who needs napkins can benefit from a printed napkin. Turn napkins into a revenue generators instead of cost items! 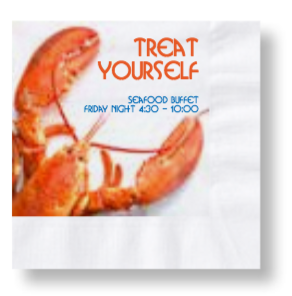 You might be asking yourself, “Isn’t printing on napkins time consuming and expensive? How will my smaller businesses be able to justify the cost of a printed napkin?” The answer to this is Digital Printing. 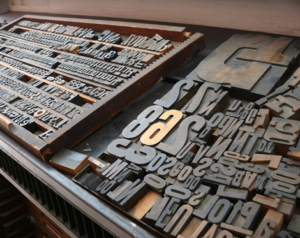 Letterpress printing was the normal form of printing text from its invention by Johannes Gutenberg in the mid-15th century until the 19th century and remained in wide use for books and other uses until the second half of the 20th century. Letterpress printing remained the primary way to print and distribute information until the 20th century with the advent of offset printing. Basically, letterpress printing ruled the printing market for centuries. Offset printing is a technique in which the inked image is transferred (or “offset”) from a plate to a rubber blanket, then to the printing surface. Offset printing is one of the most common ways of creating printed materials. Compared to other printing methods, offset printing is best suited for economically producing large volumes of high quality prints in a manner that requires little maintenance. In offset printing each color in a print will be converted to a plate and run on a press. Digital printing refers to methods of printing from a digital-based image directly to a variety of media. It usually refers to professional printing where small-run jobs from digital sources are printed using large-format and/or high-volume laser or inkjet printers. 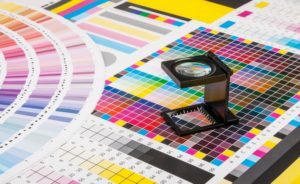 Digital printing has a higher cost per page than more traditional methods, but this price is usually offset by avoiding the cost of all the technical steps required to make printing plates. It also allows for on-demand printing, short turnaround time, and even a modification of the image used for each impression. 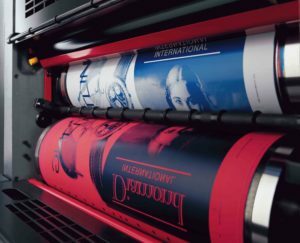 The savings in labor and the ever-increasing capability of digital presses means that digital printing is reaching the point where it can match or supersede offset printing technology’s ability to produce larger print runs of several thousand sheets at a low price. Most napkins are printed using Letterpress or Offset printing processes. This requires plates, long set up times and art fees to print 1-4 colors. This process makes ordering a higher quantity the more cost effective way to go, and at the same time alienated smaller businesses from partaking. Digital printing (like Hoffmaster’s Digital Print Napkin program) eliminates printing plates, long set-up times and works similar to your home office printer that uses CMYK ink cartridges. Digital Printing can create photo real images, detailed designs and collated options at lower case minimums. Choose 2 images to be printed, 1/2 of the package is one design and 1/2 the package is the second design. I.E. Half the stack could be used at lunch services with specials for Happy Hour, and the other half could be used at dinner service for desserts! The Hoffmaster Digital Print Program uses either bright white virgin or 100% recycled tissue in 10″ x 10″, 2ply, 1/4 fold, coin embossed napkins. They are completely over-wrapped packaging. Packed in 12 packages of 250, or 3,000 napkins total per case. The minimum order quantity is 9,000 napkins, or three cases. Click here to see more information on the Hoffmaster Digital Print Program. Or contact your RJ Schinner sales representative for more information.